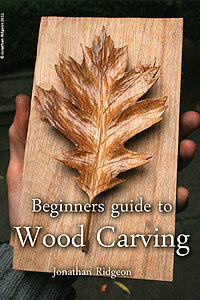 Full tutorial, Includes useful list of suitable wood types plus some of my tricks to make life easier. 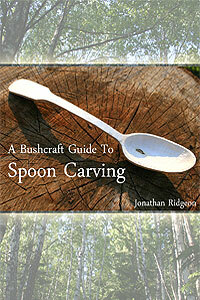 Step by step guide to carving a traditional Kuksa cup. 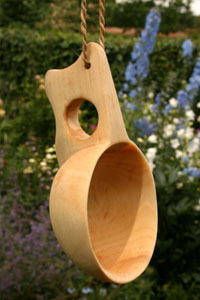 Carved from half of a log in a similar way to the Kuksa cup. 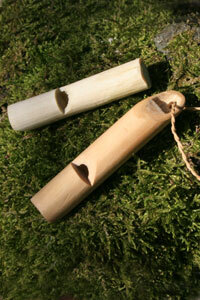 A useful culinary object for the Bushcraft camp. 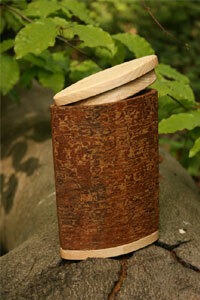 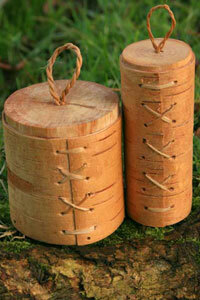 The ever useful Birch Bark - ideal for making excellent containers for a multitude of uses - A step by step guide. 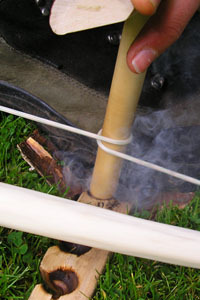 Basic weaving technique good for beginners and you can also use dead bark. 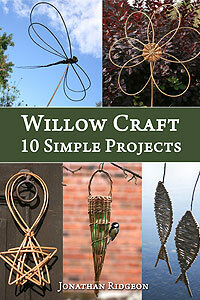 Simple, Practical and easy to make. 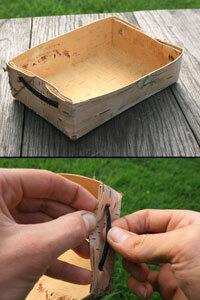 A photo guide showing how I built my first canoe using materials from the woods and a simple canvas covering. 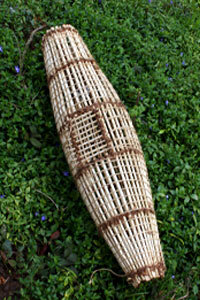 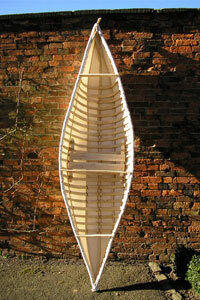 Article taking you through every stage of how I made this canvas covered canoe. 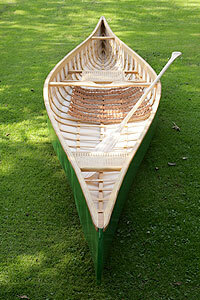 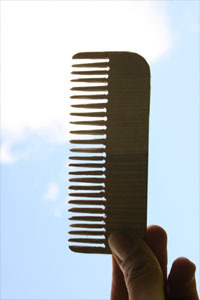 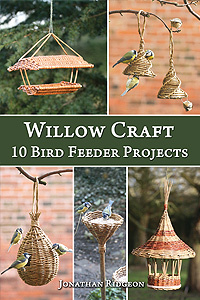 parts simply made from Willow and other spare wood. 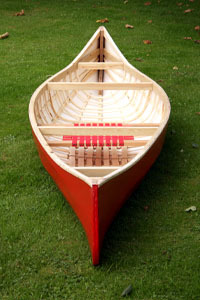 A 'build-along' article with notes - shows each stage of construction. 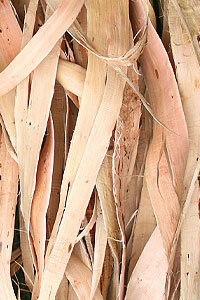 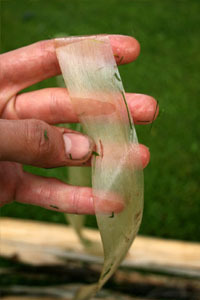 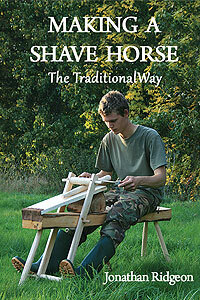 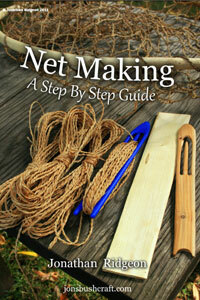 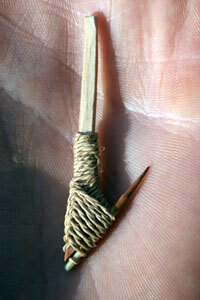 How to strip and process the bark resulting in the finest cordage material of the woods. 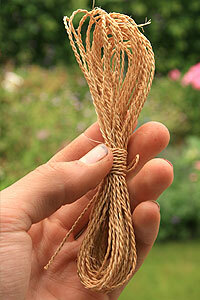 A truly excellent fibre. 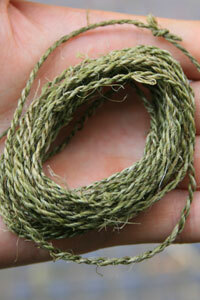 Step by step guide... How to separate the very strong cordage fibres from Nettle stems before twisting them into cord. 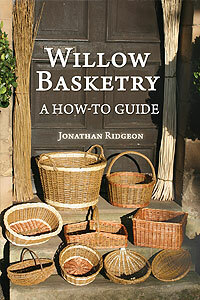 Surely one of the best cordage materials; Willow bark is both abundant and relatively easy to process. 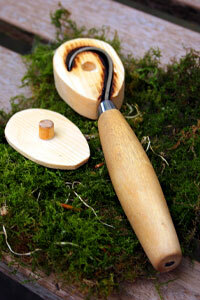 A fun craft and great to project to start learning knife skills for carving wood. 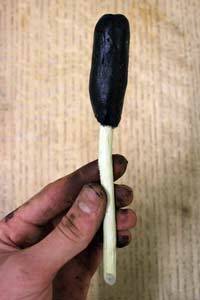 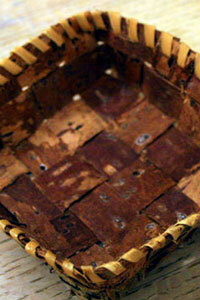 How to extract the precious tar from Birch bark and then make it into a useful Bushcraft glue. 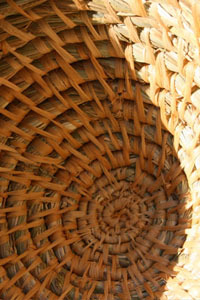 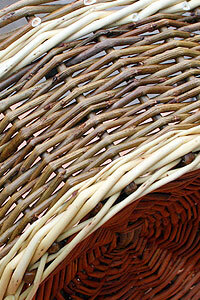 This is an old article now but is still good for introducing you to the basics of coil basketry. 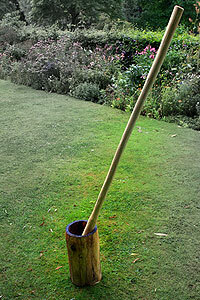 A very useful piece of equipment for grinding down all kinds of seeds, nuts and roots. 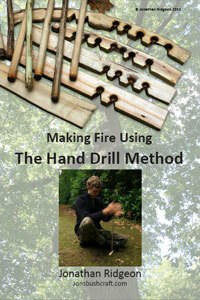 I Use hot coals to burn out the mortar cup. 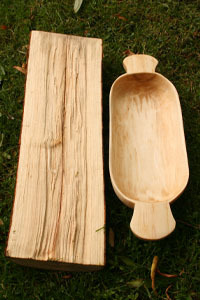 Two designs for a home-made berry picker. 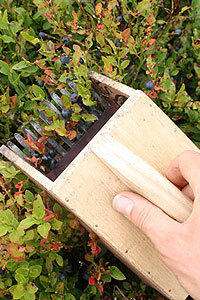 Ideal for picking Bilberries and Cowberries. 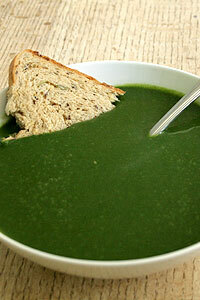 A simple, quick and enjoyable soup packed with goodness! 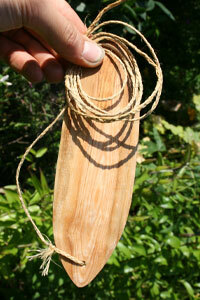 Its so simple to make and tastes so good... A must try. 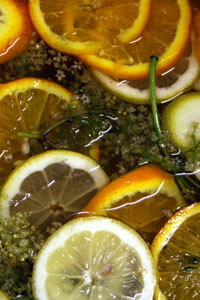 Elderflowers start coming into bloom late May. 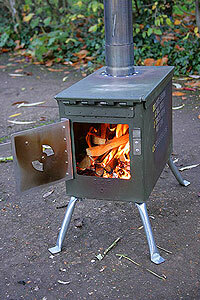 Step by step article showing how to make this neat stove from an ammo box which can be used to heat certain tents. 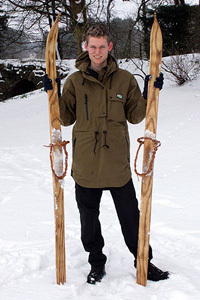  Article showing each stage of making a pair of skis.